Back on the Market Buyers financing fell through. 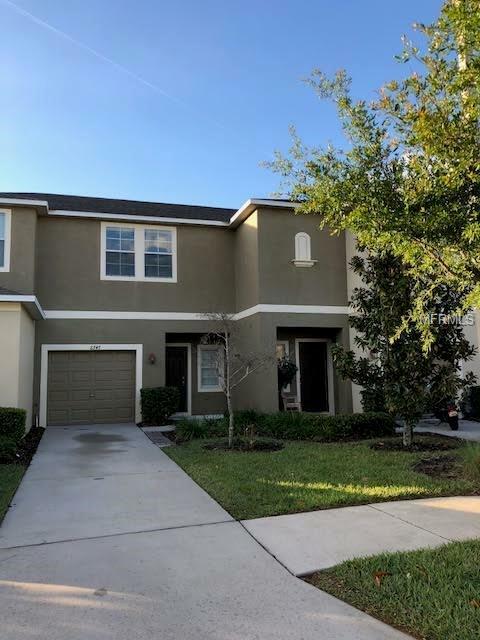 Spacious 2 bedroom , 2.5 bathroom and 1 car garage townhouse in Oak Creek! As you walk in, you will appreciate the tile flooring throughout the lower level which takes you to the open kitchen and living area. Making your way upstairs, you will find two bedrooms, each with its own private bathroom and spacious closets and laminate floors. The laundry area is conveniently located upstairs between the two bedrooms. The Oak Creek community has a beautiful community pool. Great location close to I-75, US 301, and SR-60. Easy access to local shopping, restaurants, movie cinema and all types of retail businesses. It's an ideal place for commuters to Brandon, Downtown Tampa, MacDill Air Force Base, South Tampa and even Bradenton. Available now won't last long schedule a showing today!